Wednesday matinee and Sunday evening shows include a post-performance talk-back. Student, educator, AEA, FPTA, SAG, SFTL, and group discounts are subject to availability and may only be purchased by visiting or phoning the box office at (561) 514-4042 ext. 2. This show is a past production and ticket sales have closed. To view our current listings please click here. 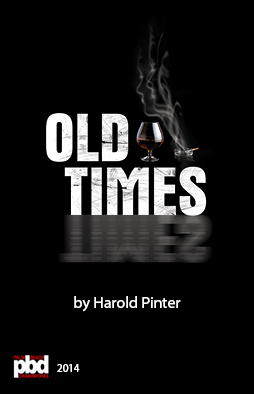 "'Old Times' at Palm Beach Dramaworks"
When Kate's old friend, Anna, unexpectedly visits her and her husband Deeley after 20 years, conflicting memories give way to intimations of a mysterious past and an uncertain present. Contact Theda Reale at (561) 514-4042 ext. 107 or send an email for more information.